Add something extra to their desktop by selecting this handy marketing tool. This custom tent desk calendar has 12 different full color photos, deluxe wire-o binding and a heavy easel stand. It has 100 lb. coated matte stock and an 18 pt. easel. 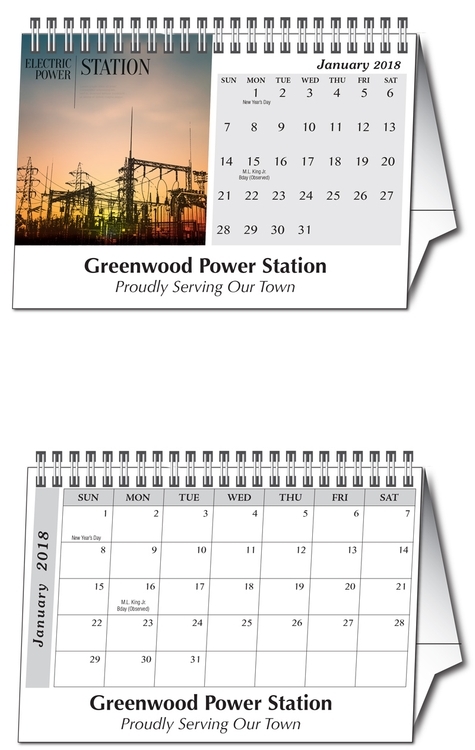 There are 12 full color images on the front with one color calendar grid on the back. Printed on both sides; what an excellent choice to help promote your brand! Make sure you order yours today.